A neoplasm is an abnormal growth of cells in the body, also described as a tumor. A neoplasm can be a small growth, such as a mole, or a cancerous or pre-cancerous tumor. Most of the time, neoplasms are not dangerous to your health, but they can be. If you have a neoplasm, it is important to show it to your doctor. A visible neoplasm may look exactly like your skin, or it may be a different color or texture. They are usually painless, but they can hurt or bleed—a main point that differentiates them from warts. Neoplasms may grow very slowly, and it is rare for a neoplasm to grow rapidly. You may notice small growths on the surface of your skin, or inside reachable areas of your body, such as your ear canals or your nostrils. Neoplasms can also grow inside your body, where you can't see them. In some instances, internal neoplasms may cause noticeable bumps, but they are usually located deep beneath the surface of your skin, where they wouldn't cause a change you could see from the outside. In the human body, there are trillions of normal, healthy cells. These cells grow, divide, multiply, die, and are replaced in a controlled, paced manner. However, in the case of a neoplasm, the cells may grow more rapidly or survive for longer than they are supposed to. Neoplasms can be benign growths, cancer, or pre-cancerous tumors. A benign neoplasm is a growth that does not have cellular features of cancer or pre-cancer and is, thus, highly unlikely to become dangerous. A pre-cancerous tumor has features of a malignant tumor, but has not yet become cancer, and has not spread. Cancer is a neoplasm that can grow rapidly, spread, and cause damage to the body. A malignant neoplasm is cancerous, while a metastatic neoplasm is malignant cancer that has spread to nearby or distant areas of the body. 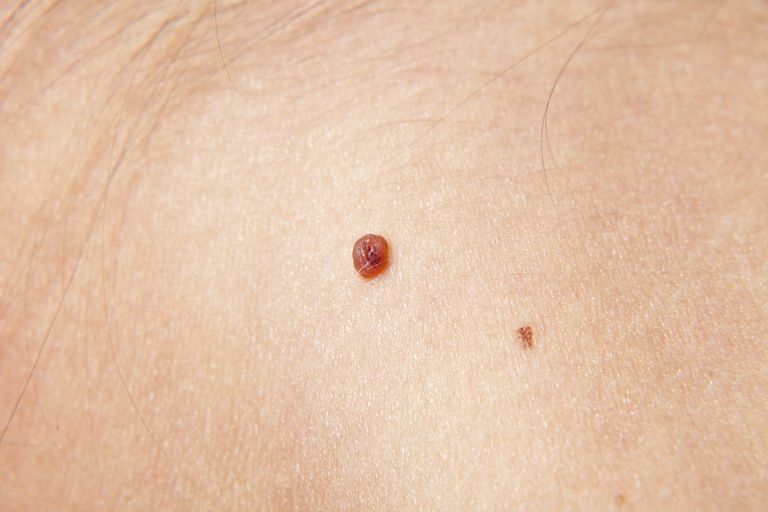 Benign neoplasms are often called birthmarks, and they may develop during late childhood or in adulthood. Benign tumors usually grow slowly, if at all, and they are generally not life-threatening. These are caused by a limited overgrowth of cells, usually without a known cause. The fact that benign tumors are not cancer doesn't mean that they can't cause problems. Fibroids, for example, can cause significant bleeding and pain that may require their removal. A metastatic neoplasm is defined as cancer. It is most often associated with damage to a cell's DNA. This damage results in genetic mutations that cause abnormal cells to lose their normal function, multiply faster, live longer, and invade other cells and tissue. Certain factors can trigger these mutations, including genetics, sun exposure, and toxic substances. Smoking, for instance, can increase a person's risk of lung cancer, while excessive alcohol use may lead to liver cancer. A malignant neoplasm can grow in any part of the body and can metastasize (spread) to virtually any part of the body as well. A malignant neoplasm may begin as a physical mass, such as a tumor in the breast, or it can begin as an overproduction of a cell type, such as leukemia—a form of cancer characterized by overproduction of blood cells. Pre-cancerous neoplasms are growths that have not spread and show the potential to become cancer. This is usually diagnosed based on a microscopic examination of the neoplasm. A neoplasm is considered benign if it cannot spread through the bloodstream or lymphatic system to invade other parts of the body. It can be difficult for you to know if a neoplasm is benign or not. Often, your doctor can distinguish the difference based on the appearance, texture, and history of the growth. But when there is doubt, a biopsy can help. A benign neoplasm usually has cells that appear normal with regular spacing between them. A cancerous or pre-cancerous neoplasm usually has cells that appear abnormal in size, shape or color, with crowded and irregular spacing between the cells, and possible invasion into nearby capillaries (tiny blood vessels). The term neoplasm is not synonymous with cancer. If you or your doctor find one, there's every chance it'll be perfectly harmless. Even if it's not, many malignancies today are treatable with high rates of success. If you ever do find an unusual growth on your body, contact your primary care physician as soon as possible. Depending on where the growth is, you may need a physical exam, blood tests, imaging tests, or a tissue biopsy. After that, if anything looks suspicious, you'll at least have the opportunity to get it diagnosed and treated early when success rates are highest.